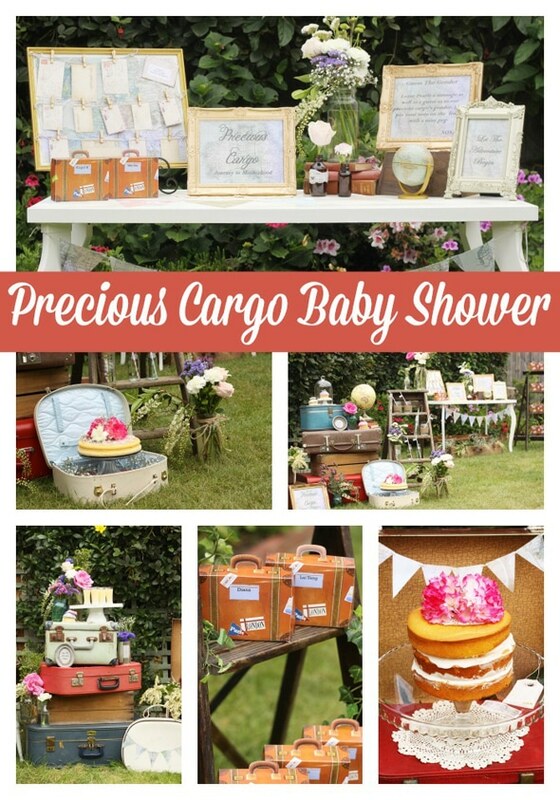 This beautiful vintage Precious Cargo Themed Baby Shower by Simple Elegance Melbourne is such a lovely and unique baby shower theme! 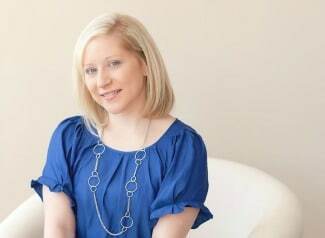 It symbolizes the journey to motherhood and the precious cargo on the way, which is so adorable and clever! We love all of the darling vintage details and pretty flowers. What a truly beautiful and unique way to shower the mum-to-be! We’re loving the tables that were created from stacked vintage suitcases! Set outdoors, the event space has a rustic garden feel that was pretty and feminine. Guests were ushered in to sign up at the sign in table where they left advice for the mum-to-be on cute little postcards and mini letter paper. How sweet! We all know that being a new mom is overwhelming, so this was such a sweet idea! This was then clipped onto the frame to be kept by the new mom! Staying with the travel theme, the vintage-style table was adorned with a cute map pennant banner. Just perfect! The pretty cake was a naked cake topped with pretty pink flowers, which went perfectly with the elements of the shower. Vintage suitcases in various colors were surrounded by gorgeous blooms and vintage bottles. The set up really takes you back in time. It’s so timeless and elegant! Pretty floral doilies looked lovely with the other vintage pieces used throughout the shower. We just love how the cute vintage suitcase favor boxes were displayed!What a perfect detail for this fun and unique theme! Guests dug into the desserts that were displayed outside using vintage luggage pieces stacked together to create the dessert table. So unique and pretty! Cute straws were adorned with map straw flags and mason jars with twine were set out on the wooden beverage station! Guests also enjoyed capturing memories at the photo booth area. What a lovely day for this mum-to-be! Plan a vintage travel theme party or baby shower like this one with these hand-picked products! Fun to see our Vintage Suitcase Favor Boxes in action! oh so adorable! We did a travel theme for my sister’s bridal shower, I’ve never seen it for a baby shower! Love it!